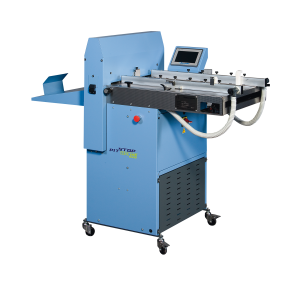 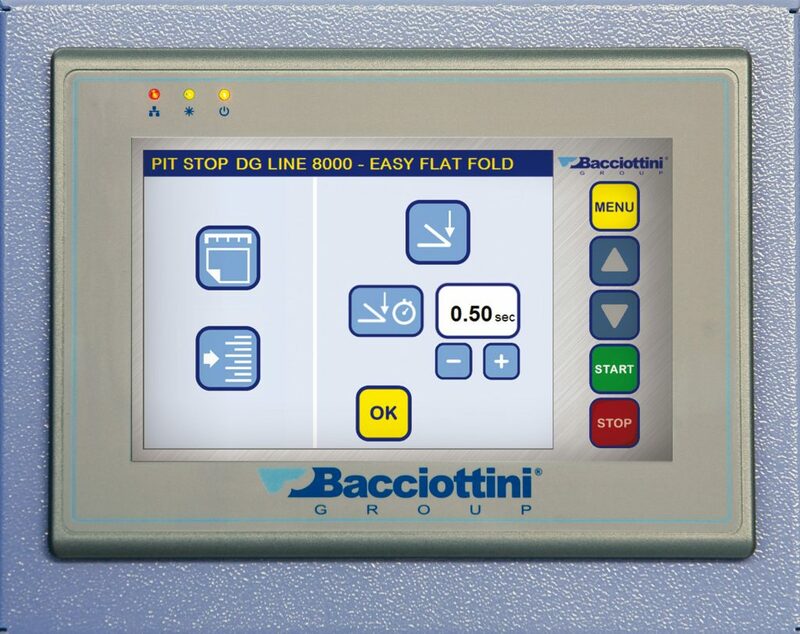 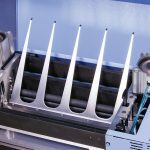 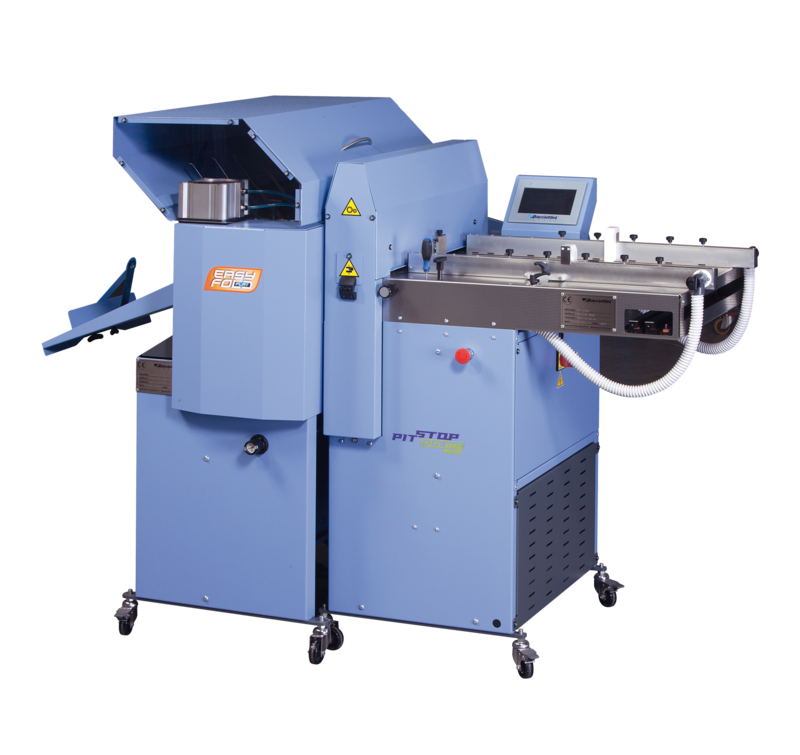 The EASY FLAT FOLD is the new patented folding system that can be positioned in line with any PIT STOP creasing machine. 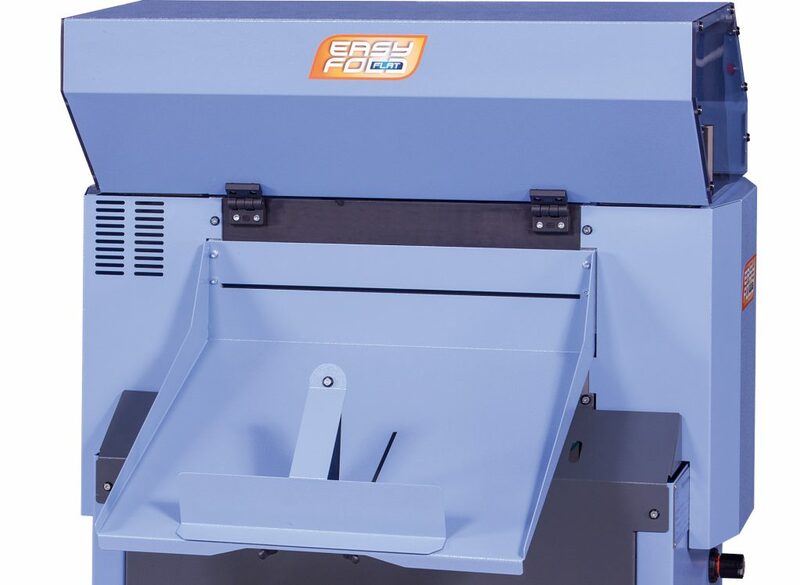 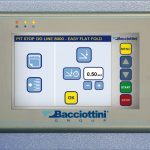 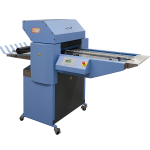 It allows the folding of paper from 120 up to 600 g.s.m. 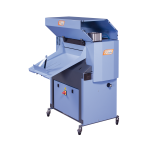 ensuring a perfect crease and fold without the cracking of spine fibres or deforming of the paper and perfect single sheet make ready. 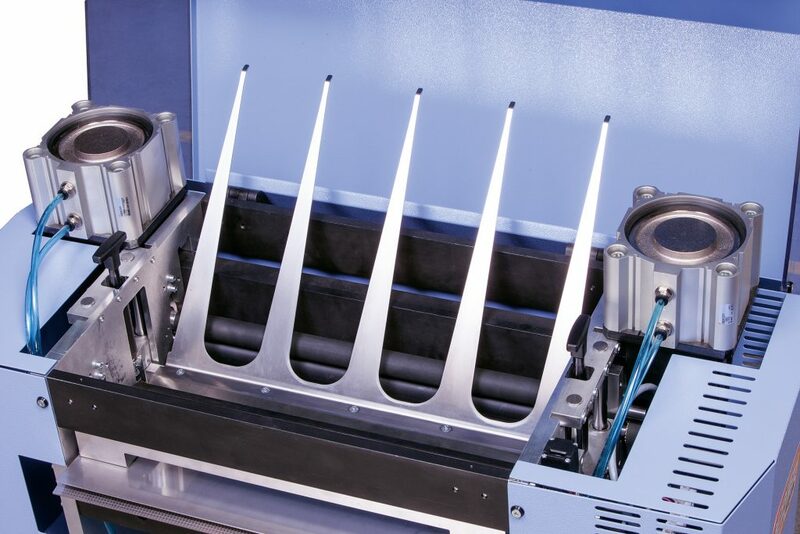 The exit is equipped with a crushing system ensuring the accurate handling and pressing of material without damaging the print, allowing a perfect layout of photo book. 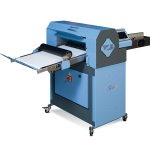 Machine can fold matt paper, plastic-coated paper and digital paper. 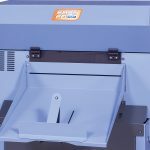 The processed material is collected in a handy output tray.